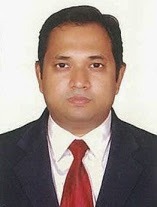 DR P. AJAY KUMAR MD ,FHM ( fellowship in hiv medicine) from CMC vellore. I have 12 years experience in treating hiv/aids patients. I have worked for 4 years in erradada CARE AND SUPPORT and ART CENTRE ( AP TB AND CHEST HOSPITAL) (Anti retroviral treatment and testing centre) and 1 year in OSMANIA GENERAL HOSPITAL ART CENTRE . I have more than 400 patients on hiv treatment .